Kathleen Daly is Professor of Criminology and Criminal Justice, Griffith University (Brisbane). She writes on gender, race, crime, and criminal justice; and on restorative, Indigenous, and transitional justice. Her recent research is on conventional and innovative justice responses to sexual and violent victimisation in different contexts of violence; and on redress, restoration, and reparation. Her book, Redressing Institutional Abuse of Children (Palgrave, 2014), which won the Christine Alder prize from the Australian and New Zealand Society of Criminology (ANZSOC), analysed 19 major Australian and Canadian cases of redress for historical institutional abuse. She was awarded an ARC Grant (2017-20) to continue her research on redress, placing developments in Australia in international perspective. In addition to continuing her research on redress, she is involved in other projects. These are state-based financial assistance schemes for victims, Indigenous partner violence and pathways to desistance, and applying the construct of victims’ justice interests to different contexts of violent victimisation and justice. She is editor or author of 6 books and over 100 journal articles or book chapters. 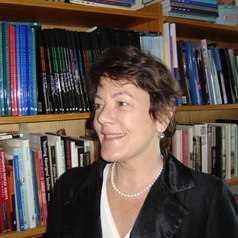 She was elected a Fellow of the Academy of the Social Sciences in Australia in 2007 and the American Society of Criminology in 2014, was past President of the Australian and New Zealand Society of Criminology (ANZSOC) (2005-09), and was awarded Distinguished Criminologist and Fellow from ANZSOC (2015).